Here are some reasons why frittatas should be in your lineup of go-to recipes! This recipe is very versatile and can be changed to fit your family’s tastes. You can use leftovers from the night before and pre-chop as you put them away to save extra time. Whatever your family enjoys, throw the leftovers into this recipe and call it a frittata! 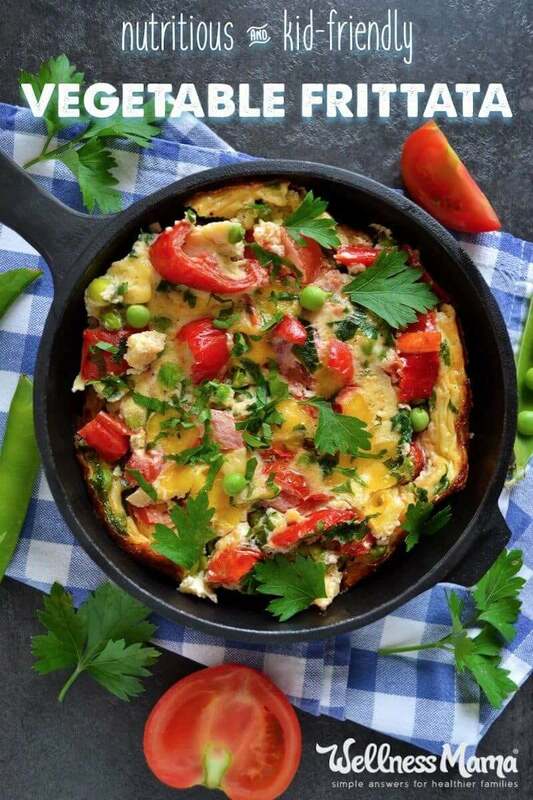 Using a frittata recipe as a vehicle for using up leftovers at breakfast, lunch, or dinner really helps out when filling in gaps in a meal plan or speeding up meal time on an unexpectedly busy night. Personally, I like to keep things straightforward and low-fuss in the kitchen and really try to cook in just one pan whenever I can. This frittata recipe dirties only one pan (which doubles as a serving pan), a cutting board, and a knife. Perfect! It’s true that eggs are notorious for practically fusing to the pan and making for difficult cleanup, but these Extrema ceramic pans solved this issue for me. They go from stovetop to oven beautifully and meet my standards for healthy cookware. 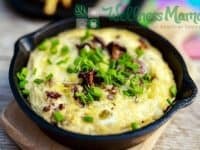 Kids Can Make This Frittata Recipe! Most kids love to help in the kitchen especially when it’s their project. A frittata is something an older child could make on their own (with the proper instruction, of course!) and even express some creativity coming up with different versions. In our house, the kids are getting old enough to pitch in and make most breakfast and lunch meals, which is a huge help and gives them some valuable life skills. You might eat a few questionable frittatas in the process, but with a little practice you’ll have some extra hands in the kitchen … and they’ll feel accomplished knowing how to make healthy meals on their own! 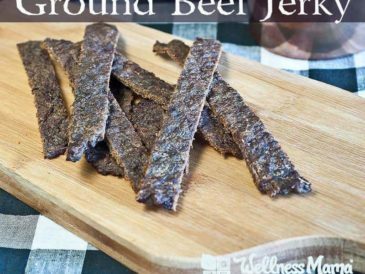 A delicious and versatile way to serve up protein and veggies at any meal. Cook or heat meat in large oven-safe pan or skillet with butter until cooked/hot. Add vegetables and cook until cooked or heated. 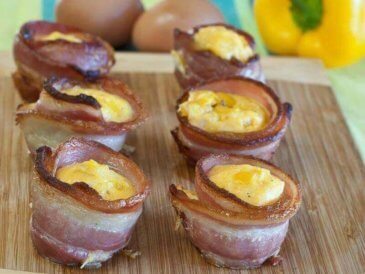 Crack eggs and put directly in pan. 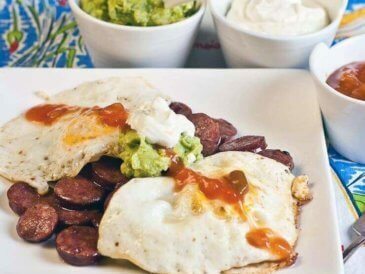 Scramble until yolks are broken and ingredients are mixed. Put in oven on the middle rack for 20-30 minutes until cooked. Remove when lightly golden on top, but not brown. Cut like a pie and serve. Can be wrapped in foil to eat on the go. This is such a versatile dish! Use whatever leftovers you have on hand or choose a specific cuisine you enjoy and make a frittata to match. 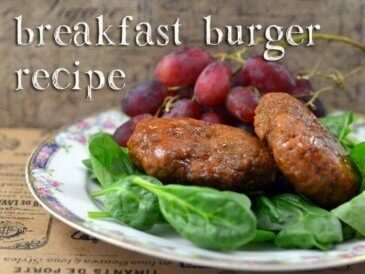 Other quick and easy breakfast ideas you might enjoy! Chia Seed Pudding – Make ahead the night before, chill overnight, and serve in the morning with a side of fresh fruit. Zucchini Fritters – Like a frittata, but in the form of a portable muffin/fritter with the addition of almond flour and parmesan cheese. Chocolate Coconut Chia Bars – Need a jolt of energy in the morning? Make these ahead and refrigerate or freeze for a slightly sweet and chocolately treat that can easily be taken to-go. What do you do for breakfast when you are short on time? Tell me below!